Makes my curls look tamed in a nice and natural way. Not for the volume seekers. These are two enormous bottles which actually work well for me (thank god for that cause seriously – what do you do with 2 liters of shampoo you don‘t like? you can‘t eat it and it burns your wallet and soul to give them away). Anyways – back to these two bottles – this shampoo and conditioner makes my crazy curly hair tame, makes my curls look nice and “appropriate” (a bit like this – in my own opinion) and gives my hair some love and shine. On the minus side – this is not for those who seek volume, at least not if you want the crazy Beyonce kind of volume, but for those who seek the sleek look. Another thing that I do like is that these two smell really good, not in the synthetic fruity way – but in a way that says “hey I was just at the hairdresser and got my hair washed, cause I‘m just worth it”. That it switches itself off if not used for 60 minutes. I am super proud of my crazy lion hair. But sometimes I prefer going for the sleeker, more sophisticated look and I let my hair tag along for the transformation. I remember first time I straightened my hair. It was in the Dominican Republic during a holiday. Girls over there go to salons religiously, and straight hair is the deal. I do not understand all the hype of having your hair reduced to twice its normal size, but I do enjoy the male attention. I dont know what it is, but men just seem to like us with straight hair better (please do comment if you agree or disagree with this statement). 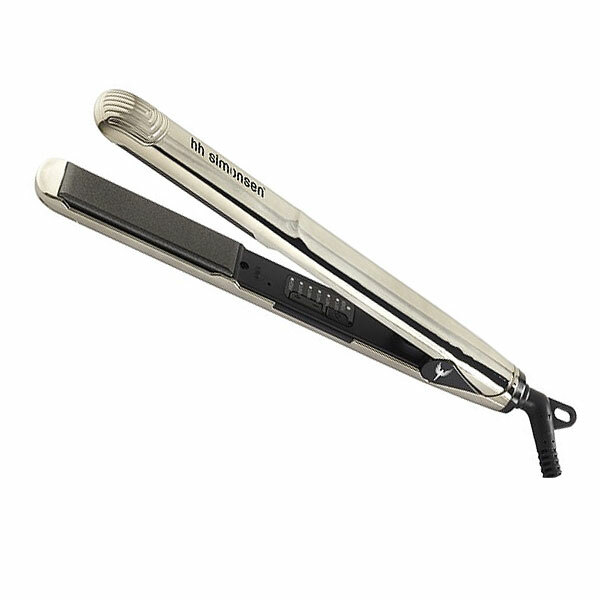 Anyways, being a big fan of their hairbrushes I decided to try the hair straightener from Danish HH Simonsen. It is quit pricy, but I see it as an investment, helping me to get more male attention and feeling like a power woman with power hair (yes unfortunately in that order). First and foremost, I love the fact that the straightener switches itself off if not used for 60 minutes. If you are paranoid, like me, and walk around thinking you forgot to lock your front door/close the window/turn off the oven half of the day, this product was made for you (thank you HH Simonsen, for targeting the obsessive compulsive of our population). Also I think my hair looked quit natural and straightening it, did not make it dry, which I have experienced in the past. I think it is very important that your hair does not feel like sand paper after straightening it, making yourself pretty while causing your hair so much damage is just not worth it. My hair stays straight next day and even looks good the next day. The straightener works pretty fast aka you are not scared of burning off you hair, so my verdict is that this is a reliable electronic device and you can trust it with your hair. Makes my hair shiny and soft. This brush is not very well suited for hair as thick as mine. Danish HH Simonsen are behind my absolutely favourite brush and therefore I was very curious to try this hair brush. It is made from the hair of Japanese boar (the get a hair cut just like us, to give hair to this brush – so they are not killed in the process). It promises to redistribute your hairs natural oil and therefore make it more shiny. I definitely can see a difference after using this brush: my hair becomes more shiny and soft but this brush is just not very good with thick hair. Let me clarify: im not only a lion by horoscope by also in real life, I have crazy hair that needs to be tamed (and eats a bottle of shampo every third month). When using this brush I noticed that my hair was not properly combed through afterwards, and I had to finish off with my fingers. Lending it to a friend with much thinner hair then mine, turned out to be a success (she likes me more now and loves the brush). So yes I like the brush, but it simply is not made for hair as thick as mine. Gives you nice curls, which last til the next day. I do not curl my hair very often, but when I do I like it to look natural. HH Simosen, have 9 different hair curlers which can give you different types of curls. The VS3 gives “medium” type of curls. First of all, the device is really easy to handle and I appreciate that it has the security function of switching itself off after 90 minutes (so you dont have to run back home to check you switched it off). You can also choose between several different temperatures and it gets heated within a few minutes. My hair doesn’t turn dry after using it, and the curls look very natural, which is how I like them. I also like that my hair looks nice the next day, though the curls are more subtle of course. The big con is the price. I see my hair becoming smother, easier to de-tangle and it is a great substitute for oil. When not divided evenly becomes big chunk of dry balm in hair, not all days my hair collaborates like you would expect and on some days it just feels fat. Kiehl’s is cheaper in the US, so on a recent tripp I indulged. I like their liberal sample policy and that the girls and boys working there are always very friendly and more interested in helping your beauty out rather then selling you a bunch of products you don’t need. Back to the balm. According to the website of the brand, it contains olive and avocado oil at 3 times higher concentrations than normal conditioners. The balm is is a leave in product, and you should be able to use it daily. You need a small amount for application, it smells very discreet of olive and its easy to apply. I did notice my hair becoming more shiny and softer – just as promised. But on some days I could feel that although I did my best do divide the balm evenly it formed clumps in my hair, making it feel oily, like I forgot half of my schampo in it and I had to wash it out. Overall this is a good substitute for oil, if you are tired of that and you see a difference straight away. The minuses are the price, even though you need just a small amount for application, this is a pretty pricy product (25 dollars) and that due to the creamy like consistency of the balm it is sometimes clumping in your hair, making it oily. It is also supposed to prevent your hair from “breaking” but I never had that problem so can not judge. 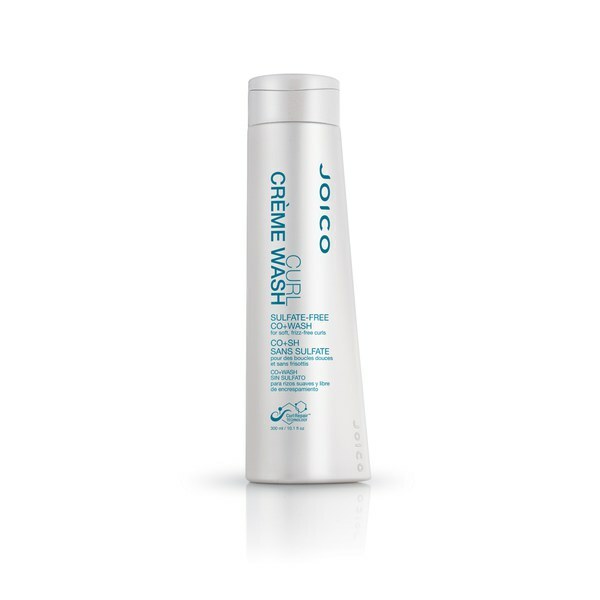 Makes your hair light, soft and easy to de-tangle. No extra shine or silkiness as promised. It’s winter and my hair hates me, it doesn’t do anything I want it to: it turns dry after I spend 2 hours with my head down in a jar of coconut oil, it looks crazy when I need to look composed and it seems dirty when its newly washed and vice versa. I tried these products as a last cry for help, because the oil from Orofluido saved me, I thought maybe so can the shampoo and conditioner. I’m not gone lie, I has ridicoulasy high expectations, this as I mentioned, because the oil from the same company is amazing and so is the smell of it (so amazing that your boyfriends texts you just to say you smell good). This shampoo and conditioner promise to make your hair silky, loose, shiny, easy to detangle and light. I can only speak for these two as a pack, since I use them together. The conditioner has a very nice, rich texture, and detangles your hair straight away. I feels like using a mask. After washing my hair, its indeed very light, soft and easy to manage, no crazy unsymmetrical curls which I sometimes get from using cheap and bad shampoos. You also don’t need much per wash, which is a plus. The minuses are that the shampoo and conditioner don’t smell as great of vanilla and amber as the oil from the same line, they smell “the same” but lack some of the sweetness of the original scent. Also I don’t see any extra shine or silkiness, but then again I’m in a hopeless winter hair situation right now.